105km cycling event starting from Hailsham. Controls at Mayfield and Mayfield, plus 6 information controls. Entries now closed as event full. Why not enter Mad Jacks JSM Updated route sheet 12/1/19. Non AUK members please read AUK regulations. Potential for 91 on the road! Pink cabbage caf� has been made aware of your arrival, we have exclusive use of the whole Caf� until 12.00, please support them and be nice to Lucy and her team. (There are various meal deals on offer by them). We will be sharing with Joe Public after 12.00 so please be patient, we have initially three or four master controllers on card stamping duty plus Martin on parking duty's please listen to our instructions...������������. A early season event now in it's 12th year, venturing into deepest East Sussex, (limited to 85 riders). Some of the highlights include- the North face of Willingford lane up to Burwash Weald (68� fixed possible). North face of Argos Hill and enjoy the views of the refurbished Argos Hill windmill. Kidd�s Hill is another highlight along the route. 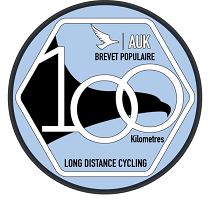 An Audax Altitude (AAA) & GDS qualifying event. Some of the route North follows the old Cuckoo line, where you still pass under the old bridges etc. Hot drinks and various snacks at the start included in the entry fee. Start and finish in Hailsham, entries before 16th Jan 2019. Enter early to avoid disappointment! No entries on the line. Indoor controls @ The Pink Cabbage Cafe in Mayfield, which offers a warm welcome and great food and drink available, the event visits here twice to keep you fed and watered, finish at the Lagoon leisure center Caf� in Hailsham.